Koregaon Park has a variety of restaurants but this beautifully done up place caught our attention. The seating arrangement being outdoor certainly added to its chic look. 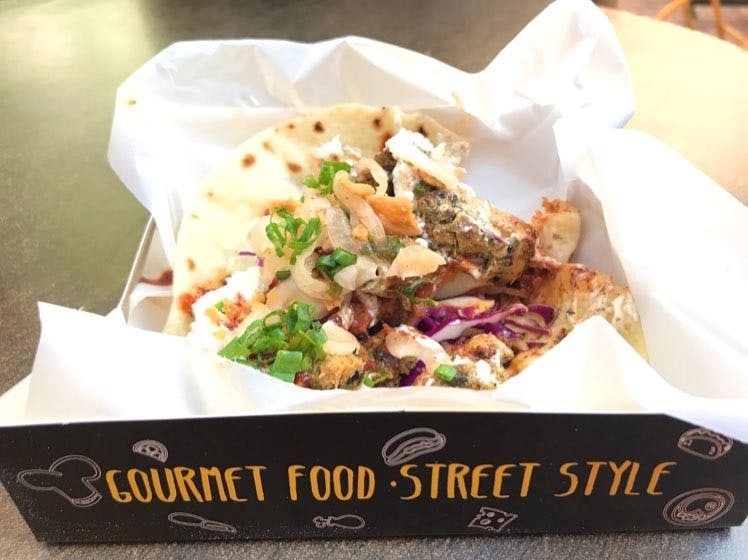 We tried the Caribbean chicken taco, which was not like a typical Mexican taco, the flavours were different and delicious. For vegetarians, the Paneer Burrito Bowl is a must try! Don't miss out on their desert, the waffles are heavenly and the brunuts are not something you'll find everywhere. The double Nutella brunut not only sounds tempting but will also make you lick your forks clean. From ambience to its food, everything was on point. The service was fast, waiters had a smile on their faces through out. The food was definitely scrumptious and is total value for money. There is no car parking near the restaurant so walk down the lane or go on a bike. Evenings is usually packed but it's definitely worth the wait. Check their Instagram and Facebook page for weekly offers. The menu is seasonal, for it changes every six months. The summer menu has a variety of taco's, you can indulge in. The restaurant is closed on Mondays.